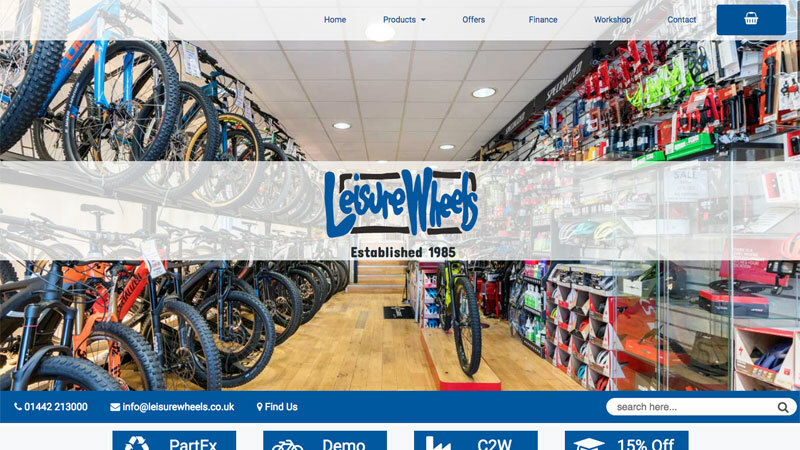 Leisure Wheels is a long established family run bike shop with a focus on mid to high end road and mountain bikes. They have been an iBikeshop client for many years with their iBikeshop powered site having seen little in the way of updates for several years. We were contacted to remedy that! Initially we redesigned the theme with a new new clean up todate design, we then worked with the iBikeshop developer to implement the design. We then created the content for every page of the website and created news one we felt were missing. The site design was based around the shop logo, which has been consistant since the shop opened in 1985. We wanted to reflect the sense of "80's fun" throughout the site by employing a more traditional design ethos but with a modern twist. After the successful deployment of the re-design we were enlisted to maintain the site on an ongoing basis as part of a management contract.